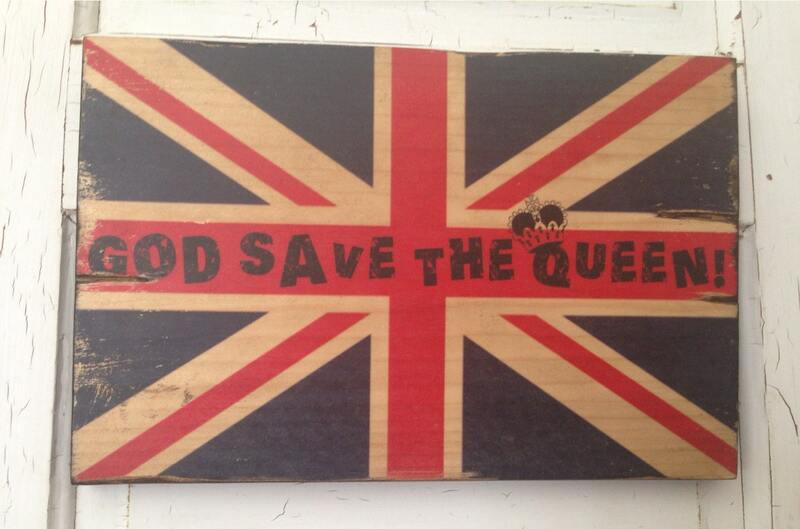 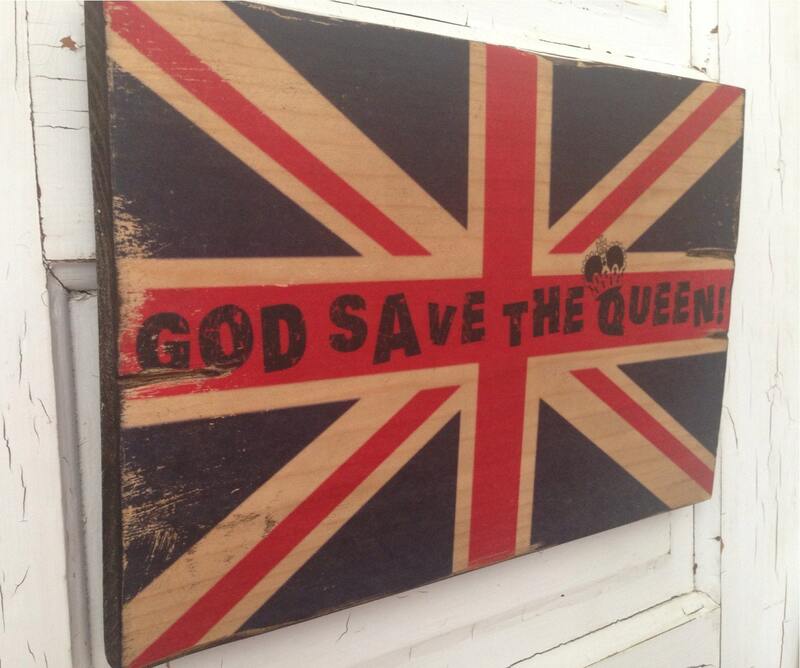 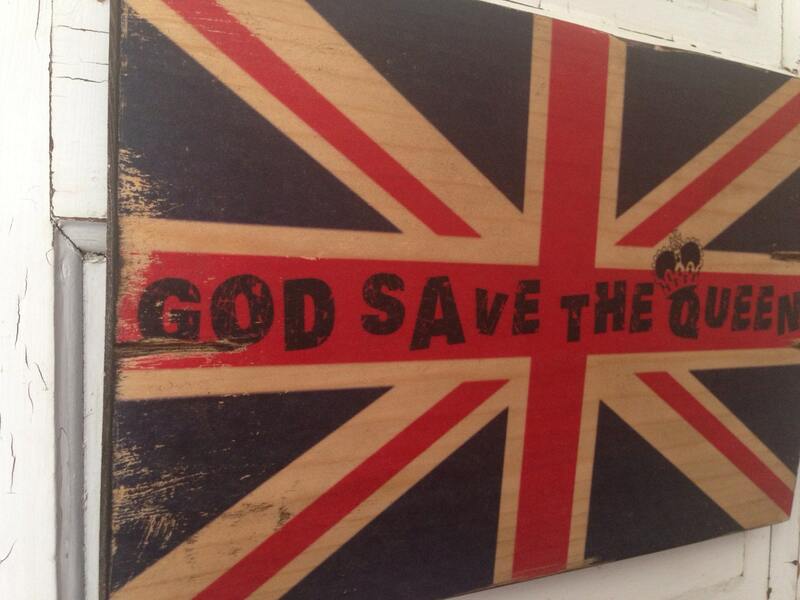 GOD SAVE THE QUEEN UNION JACK ART - This typography art/sign on wood is adorable and looks great in your home or office or give as a gift. 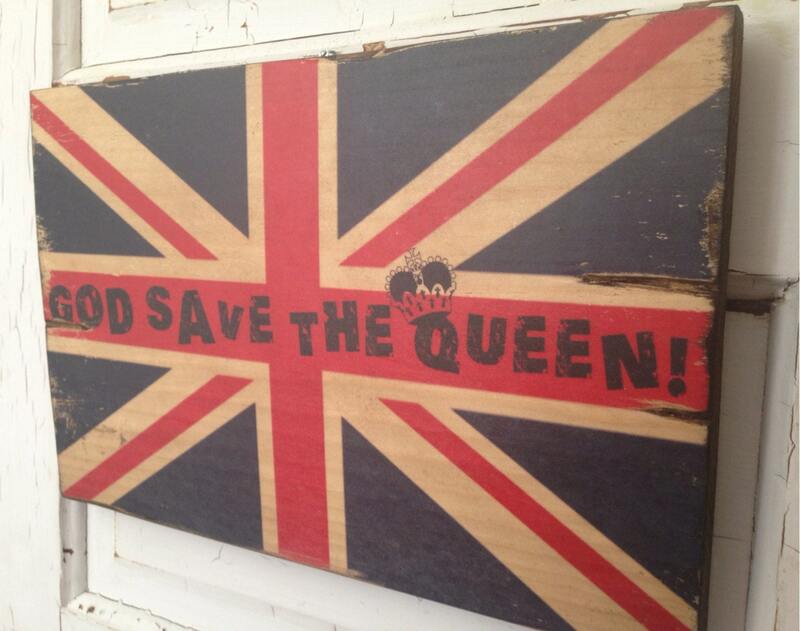 Hanging hardware included on the back. 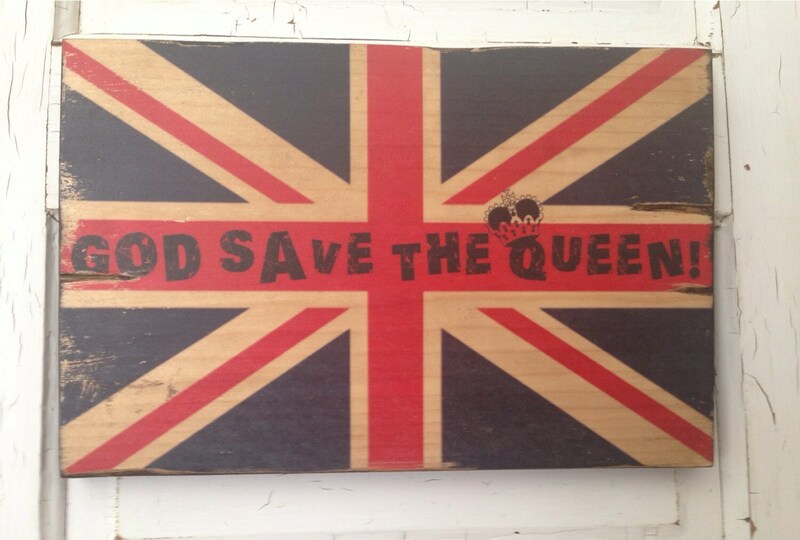 Typography can be changed to your favorite phrase as well!